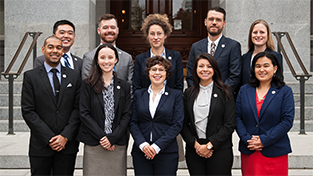 If you are a UC Berkeley graduate or postdoctoral researcher interested in exploring public policy training, please sign up for the upcoming Public Sector Fellowships Workshop hosted by Beyond Academia, to be held Monday, October 16th. Kristin Warren, PhD, a member of the 2017 Class of CCST Science Fellows, will be on hand to speak about her experience working in the California State Legislature. 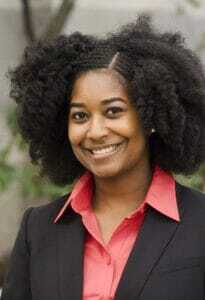 Kristin received her PhD in Mechanical Engineering from Carnegie Mellon University, and her fellowship placement has been with the California Legislative Black Caucus. 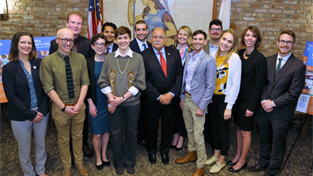 Applications for the 2019 Class of the CCST Science & Technology Policy Fellowship will open December 1st, 2017. The University of California system is a Sustaining Institution of CCST. Learn more about CCST Sustaining Institutions here. Fellows will discuss each program in an opening panel and host 45-minute intensive workshops on the application process. Come prepared with your questions about the application and interview process, and learn how to make your application stand out from recent fellows. The event will include light refreshments and a concluding networking reception. 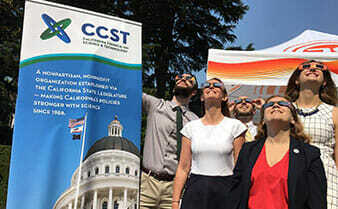 Find the California Council on Science and Technology on Facebook at facebook.com/ccstorg, on Twitter @CCSTorg, and on LinkedIn. Learn more about CCST at www.ccst.us.